Mr. Whalen received a B.A. in history in 2000 from Indiana University, where he also obtained minor degrees in Spanish, economics and business. He received his J.D. in 2004 from the DePaul University College of Law. Mr. Whalen was on the Dean’s List on multiple occasions at both Indiana University and DePaul University. James H. Whalen serves as co-managing partner of Lipe Lyons Murphy Nahrstadt & Pontikis Ltd. and is a member of the firm's tort defense, commercial litigation, and product liability practice groups. He focuses his practice on construction, business, commercial, product liability, employment discrimination and premises liability litigation in state and federal courts and before state administrative bodies. Mr. Whalen has been selected as a Leading Lawyer-Emerging Lawyer from 2015-2018. Mr. Whalen views each client as a partner. By working closely and communicating effectively with each of his clients, he is able to tailor his representation to meet the unique needs of each client and matter. He believes that customized counsel leads to superior results, stronger relationships and greater efficiency. In an era where immediate electronic communications are often a necessity, he still believes in the importance of the face-to-face meeting and the phone call. Above all else, Mr. Whalen values the trust that his clients place in him and knows that it is hard-earned. In his tort defense practice, Mr. Whalen is proud to be a go-to attorney for a fast-growing regional insurance company whose claims run from premises liability to catastrophic personal injuries. Mr. Whalen defends premises liability cases on behalf of taverns, small businesses, restaurants, gas stations, and concert venues . He has defended premises liability cases on behalf of municipalities, construction contractors, and multi-purpose arenas. He frequently provides legal counsel and representation in litigation to a regional temporary employment and staffing company and to regional waste disposal and recycling companies in personal injury, commercial and employment litigation. In his tort defense work for these clients, Mr. Whalen has defended them in cases from catastrophic injuries and death sustained in motor vehicle accidents and during the use of industrial machinery. Mr. Whalen has extensive experience in disputes arising from construction worksite accidents, representing general contractors and subcontractors. He has defended contractors in high-stakes injury and wrongful death cases involving claims of negligence, unsafe construction practices and failure to provide a safe worksite, as well as breach of contract and contractual indemnity claims related to construction projects. His representations have included regional and national construction firms. In these cases, employment, agency and independent contractor status are often hotly contested issued. In addition, Mr. Whalen has litigated product liability cases involving a variety of products, including automotive and airplane components and heating and cooling equipment. Mr. Whalen frequently represents corporations and limited liability companies in commercial litigation matters involving breach of contract, fraud, breach of fiduciary duty and commercial torts, and has represented defended consumer and product liability-related class action litigation. 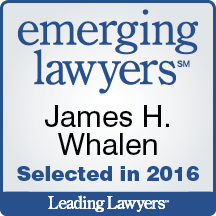 In the employment area, Mr. Whalen has defended employment staffing agencies, law firms and restaurants in Title VII discrimination cases, employment contract disputes and other employment-related matters. 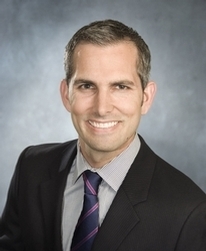 Mr. Whalen began his legal career in Chicago representing plaintiffs in personal injury cases. Prior to joining Lipe Lyons, he practiced for several years at two different Chicago-based civil litigation firms where he represented real property developers, motor vehicle dealers, lending companies, food manufacturers and family owned businesses as both plaintiff and defendant in commercial litigation matters involving breach of contract, fraud and disputes under the Uniform Commercial Code, and defended his clients in consumer class action litigation. Mr. Whalen lives in a near-west neighborhood in the City of Chicago with his wife and three daughters. Although now a long-time Chicago resident, he remains a loyal fan of the Cincinnati Reds and Bengals. Co-Author, “Negligence and Warranty Theories of Products Liability,” Illinois Institute of Continuing Legal Education (IICLE) Illinois Product Liability Practice Manual, ch.2 (2009; 2014). Co-Author, “Back Away from the ‘Like’ Button: The Potential for Employers’ Liability in the Age of Social Networking,” IDC Quarterly, vol. 21, no. 4 (2011). “The Effect of Immigration Status on Damages in Personal Injury Lawsuits,” Stare Decisis (2013). Co-Author, “Representation of Multiple Clients in Civil Litigation,” Stare Decisis (2015). Co-Author “An Introduction to Government Contractor Immunity” Paradigm Magazine (2015). "Business Torts: Beyond the Four Corners,” Primerus International Conference, November 2012. "Medicare Set-Asides,” Society Insurance, Fond du Lac, Wisconsin, October 2014. "An Overview of Common Carrier and Res Ipsa Loquitur Theories and Their Application in Premises Liability Cases", Zurich Lunch and Learn, Schaumburg, Illinois (October 21, 2014). “How to Construct a Defense,” Construction Safety Council, Oakbrook Terrace, Illinois, March 2015. “Premises Liability,” Society Insurance, Fond du Lac, Wisconsin, May 2015. “Litigating Slip, Trip and Fall Cases in Illinois: Ethical Considerations,” National Business Institute Seminar, Naperville, Illinois, June 2015. Co-Chair and Co-Author of Programming, Primerus Young Lawyers’ Boot Camp, February 2014; March 2015.